Luther Cornish walks slowly behind the mower, pushing it up the slopes that form the ditch that carries water away from his home. He repeats this task almost every day in summer. He is 89 years old, and on this day, the air is thick with mosquitoes; it’s so humid that it feels like he’s breathing the steak sauce his relatives used to package on this marshy appendage along Maryland’s Eastern Shore. But if he doesn’t mow, the overgrown grass would catch the rainwater and block the drainage area, allowing water to saturate the ground and possibly seep toward the home where he and his wife, Doris, have lived for decades and raised five children. Anywhere else, a man his age would hire a young neighbor. But Luther and Doris are two of just four people left in Smithville, a Dorchester County hamlet a few miles from Taylors Island and Blackwater National Wildlife Refuge. And the other two are an elderly woman and her caretaker. A few decades ago, Smithville had 100 residents. There were enough children to field a baseball team, enough jobs in the farms and canning factories to keep a couple dozen houses neat and tidy. But the jobs left and so did the people — though many of their uninhabited homes still remain. Across the road from those last four residents, a marsh has been slowly converting into open water, standing under the foundations of some of the old properties. The water is coming ever closer to the jewel of the fading town: a white clapboard sanctuary called New Revived United Methodist Church, its adjacent cemetery filled with names that everyone around here knows — Wilson, Wheatley, Ellis, Cornish. It is an almost ghost town next to a ghost forest, where salt marsh has encroached and killed many of the trees. Recent national climate assessments predict that the Eastern Shore’s sea level will rise three feet by 2100. Ming Li, a physical oceanographer at the University of Maryland Center for Environmental Science (UMCES), says that prediction is conservative. But even so, it will put half of Dorchester County underwater, including Smithville, Taylors Island, Hoopers Island, and many other towns on the low-lying peninsula. Several communities have already disappeared. All that’s left of Wroten Island are some jagged headstones in a marsh that’s giving way quickly to open water. On Holland Island, evacuated in the 1920s, a few graves are all that remain of a productive fishing village. On Hoopers Island, at Anchor of Hope Cemetery, even some of the graves are washing away. Dorchester County officials have examined the New Revived Church property to determine if a berm or barrier could protect the church and keep water out of the cemetery. They’re not sure of the best course: berms must be maintained, and the church doesn’t have a staff to do that, or money to build them. The Sea Grant Law Center has investigated options available to New Revived Church. The Federal Emergency Management Agency will provide funds for graves flooded in a disaster, but it doesn’t provide help in other situations. State law would allow the church to move the graves, which other communities on the Shore have done when their cemeteries flooded. Some communities in Louisiana have opted to record and map the graves while allowing them to succumb to the waters, given that saving all of the remains would be a huge undertaking. Li, who lives on the Shore and works at the UMCES Horn Point Laboratory in Dorchester County, is sympathetic to Smithville’s plight. But his research has convinced him that hardening more shoreline to protect property ultimately increases storm surge and flooding in other places. The best bet, he believes, is to work with nature: find low spots, particularly those that are open land, and allow them to be inundated. He adds that policies to curb greenhouse gases on a global scale will reduce emissions and slow ocean warming. Maryland has been aggressive about that, even suing the EPA over emissions from Midwestern states. But it’s unlikely that those efforts will keep the water out of Smithville. The marsh is only about 10 feet from the cemetery, and a few of the headstones close to the marsh grasses are already in bad shape. When Keith Cornish and Carroll Meekins — Luther and Doris’s son and son-in-law — dig new graves, many of the plots fill with water. That’s because the water table in low-lying areas is just a couple of feet from the surface, and the soils are sandy and permeable, explained Scott Phillips, a hydrologist and Chesapeake Bay Coordinator for the U.S. Geological Survey. Cemeteries on the Eastern Shore are getting hit from two directions, Phillips said — from above, with heavier and more frequent rains, and from below, as sea level rise slowly pushes the water table closer to the surface. “In some places they can’t even dig any graves,” Phillips said. The shallow groundwater is the reason most Shore homes don’t have basements, and most of the soil is ditched so farmers can till it. As sea level rise continues, he said, Eastern Shore families may have to bury their loved ones above-ground, as they do in Louisiana. Those who grew up in Smithville remain undeterred. About 25 parishioners drive to New Revived every Sunday from nearby Madison, Church Creek, and Cambridge. After services they share a meal in a cozy hall attached to the church. Each year New Revived hosts a homecoming weekend that draws 200 visitors. It feels like a family reunion, because it is: “Everybody on Smithville Road, whether you know it or not, is related,” said former Smithville resident Deborah Pugh. Pugh, who now lives in Atlanta, fondly remembers Christmas pageants, Easter Egg hunts, and mountains of snow piled high around the church. When the marsh froze over, the child-ren would skate on it. In the summer, it was dry enough to walk across. In the mid-1800s, Baltimore had the nation’s largest population of free African Americans. But it was a different story in Dorchester County, where about half the black population was enslaved. Freed blacks established Smithville around that time. They built Jefferson Methodist Episcopal Church in 1876. 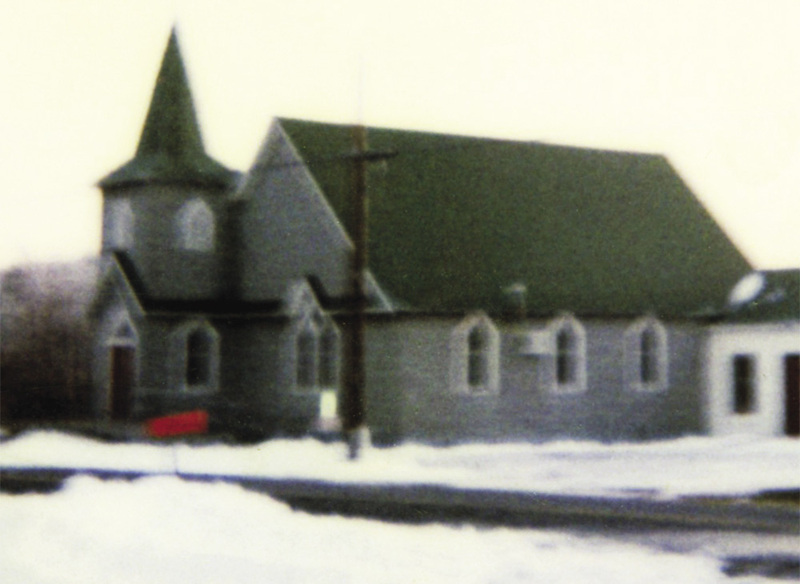 When it burned in the 1920s, they gathered timber from the nearby woods and built the current church, renamed New Revived when three nearby parishes merged with it. The building was completed in 1925. The congregation’s oldest member is 102; the youngest, Luther and Doris’s great-granddaughter, is 2. At the new Harriet Tubman Underground Railroad Visitors’ Center, ranger Angela Crenshaw often tells visitors about Smithville. “The fact that it is still here, and they are still holding services at New Revived, is really important,” Crenshaw said. The parishioners have questioned how governments decide which properties are saved and which are allowed to slip into the tides. Most infrastructure coastal protection money goes to wealthy communities, according to Allison Reilly, a civil engineer at the University of Maryland, College Park, who has researched disparities in flooding mitigation. Sacoby Wilson, an environmental health professor in the University of Maryland’s School of Public Health, studies environmental justice, with a focus on the disproportionate amount of pollution and toxic substances that poor and minority communities have historically had to bear. 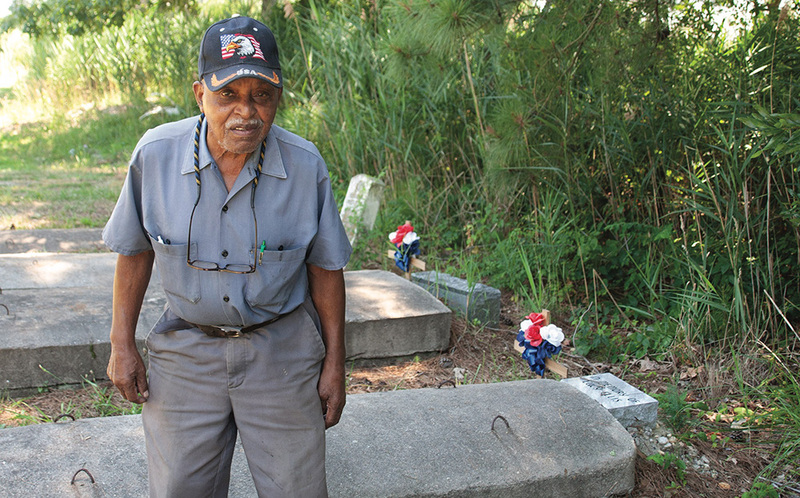 Wilson said that protecting cultural resources, such as cemeteries, is an important part of his work in disadvantaged communities, whether urban or rural. All over the country, he says, lower-income communities, which tend to sit on low-lying land, are experiencing most of the cultural losses. Smithville appears to be no exception. Luther and Doris Cornish have not experienced flooding at their home, in part because of Luther’s diligence in clearing the ditch. But they can see the marsh coming closer. Keith Cornish says that the tide goes out, but the water stands in the marsh for days. Carroll Meekins has noticed mold and moss on the church’s outer walls from the dampness. University of Maryland researchers have been working with the Cornishes and other church leaders to try to find solutions to the encroaching water. Indeed, several Shore communities are working with scientists to assess their risks and decide whether to try to mitigate the damage or to retreat, to build higher or to move away (see “Churches”). Meekins sang along next to his father-in-law. But after services, the longtime delivery truck driver admitted he wasn’t so sure. The factory where he and his neighbors canned Chung King Chinese food closed in 1995. It was replaced by a Nabisco factory that received millions in state subsidies. But it closed just seven years later. Like the people, the jobs never returned. Will the land be next to go? Smithville sits on the edge of Blackwater National Wildlife Refuge on Maryland’s Eastern Shore. A century ago, Smithville had more than 100 residents; today it has four. 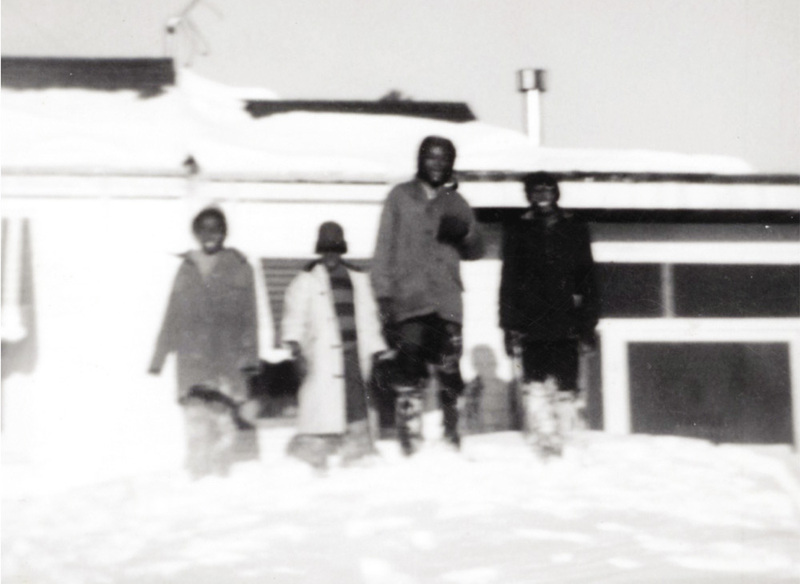 Many factors led to the near abandonment of this historic town. It is now a stop on the Harriet Tubman Underground Railroad Tour. Canneries closed, jobs disappeared, opportunities elsewhere beckoned. But central to the town’s demise is the marsh that’s encroaching on the town’s church and its cemetery, key links to its past. 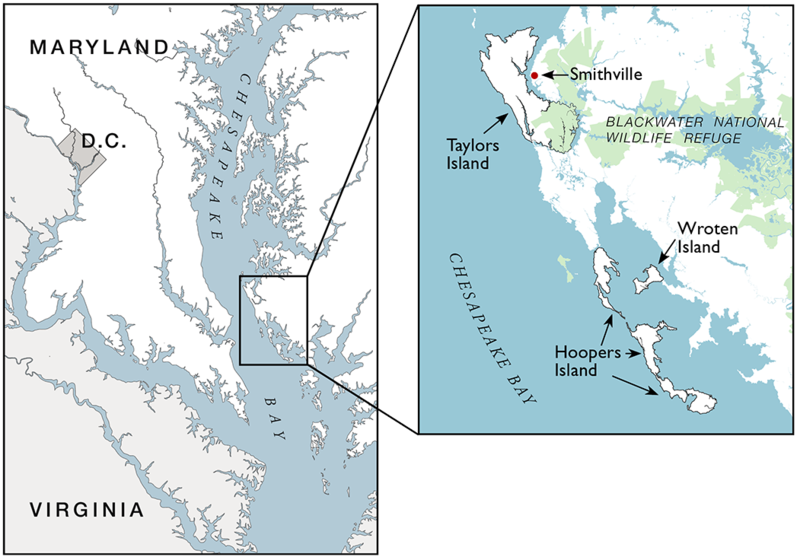 When we decided to write about Smithville, we knew it was a visual story — versions of which could be retold around the Chesapeake Bay, along the Gulf Coast, and in other low-lying areas across the country. The climate is warming, the oceans are expanding, and extreme weather is becoming the norm. The slow encroachment of water, rather than severe storm-driven disasters, is hardest to address, according to Dorchester County emergency managers. Those who are watching their lands disappear, and feel powerless to stop the water, don’t often have an opportunity to tell their stories. We thought a film could tell the story of one community by documenting the perspectives of Smithville residents, the county officials who want to help them but lack the resources, and the anthropologists from the University of Maryland who are studying shifting local attitudes about climate change. 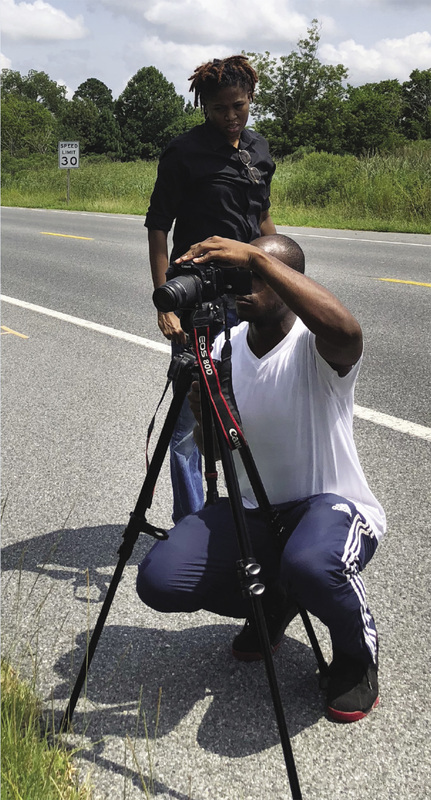 Two interns joined the film project from Morgan State University, where they studied multiplatform production: Wyman Jones Jr. is a senior and Jalysa Mayo graduated in 2017. Maryland Sea Grant science editor and writer Rona Kobell was executive producer and graphic designer and photographer Nicole Lehming assisted with visuals. View the film, Smithville, below. We’d like to thank the members of New Revived Church and local government officials for their time and generosity.